An estimated 67,000 mobile phones are likely to be lost or stolen during the Olympics in London, according to research from security firm Venafi. With the influx of visitors to London starting this week, Venafi extrapolates that a total of 214.4 terabytes - the equivalent of 200 million books full of data - will be lost during the course of the 2012 Olympics. The risk of losing data, much of it valuable and often-regulated business data, is tremendous. “There’s been an explosion of corporate data available to users from their mobile devices. This is a real danger and one that is often overlooked,” said Gregory Webb, Venafi Vice President of Marketing. Even if you are not attending the Olympics, you can protect your mobile phone from theft by downloading avast! 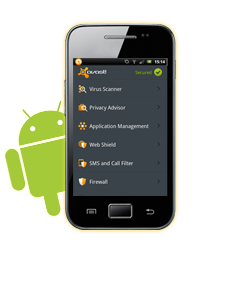 Free Mobile Security, our full-featured anti-theft and anti-malware app for Android smartphones. With special “stealth” and remote-access features, including lock, wipe and siren, as well as an abundance of remote text commands, smartphone users are protected against the loss or misuse of their device. Together with anti-malware features to keep online threats at bay, avast! Free Mobile Security is the most full-featured security app available. Avast! Free Mobile Security is completely free. You can get your own avast! Free Mobile Security here.